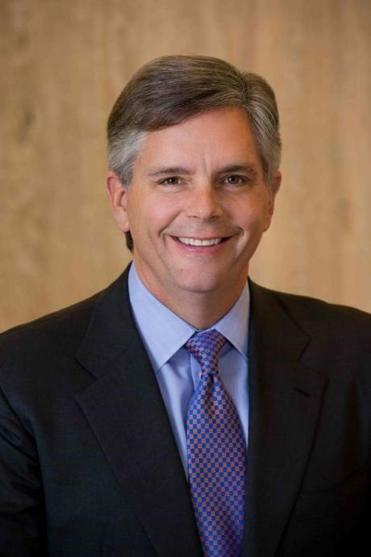 Who is H. Lawrence Culp, GE’s new CEO? When it comes to public image, the new CEO of General Electric is no Jack Welch, the famed GE executive known for his outsize personality, brash reputation, and best-selling books. Nor is he Jeff Immelt, who made a public display of reimagining GE for the digital age, even moving its headquarters from Connecticut to Boston more than two years ago in search of new ideas for an old company. By contrast, Larry Culp is a nuts-and-bolts executive with little name recognition outside of the business world, noted for turning a little-known industrial conglomerate into a hugely profitable growth machine. And that may be precisely what GE needs as it struggles to revive a depressed stock price and figure out its future. In a surprise move, GE’s board on Monday named Culp, 55, as chief executive, replacing John Flannery 14 months after he was brought on with instructions to boost profits. Unlike Flannery and Immelt before him, Culp is a newcomer to GE, having joined its board of directors in April. Indeed, GE is just the second company Culp has worked for since graduating from Harvard Business School nearly three decades ago. 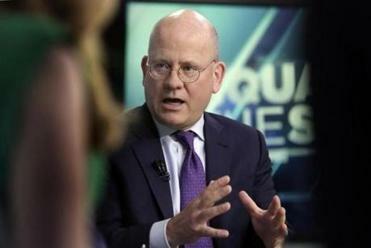 In a stunning move, Boston-based GE said it would replace Flannery after just over a year as it announced a massive writedown at its troubled power unit. His first employer was Danaher Corp., a Washington, D.C., industrial conglomerate that he eventually ran, serving as CEO from 2001 through 2014. During Culp’s tenure, Danaher’s sales quintupled, to $19.1 billion in his last year there. Its market value grew at a similar pace, and over his last five years at the helm, the company’s stock outpaced broad indexes, as well as many of its industrial competitors — including GE. Shortly before he retired from Danaher — which he started working at in 1990 — Harvard Business Review named him one of the top 50 CEOs in the world. He guided the company’s evolution from a traditional manufacturer, perhaps best known as the maker of Sears’ Craftsman line of tools, into a major player in medical testing and dental equipment. He did so through dozens of acquisitions and by implementing a companywide management strategy known as the Danaher Business System , or DBS, that absorbed the newly acquired firms into the broader company. “Danaher built a demanding and hard-charging culture that emphasized results and the unequivocal adoption of DBS,” wrote researchers at the University of Virginia’s Darden School of Business, in a 2013 case study of the company. That study describes training events for managers of newly acquired companies, at which they learned Culp’s hands-on approach to problem-solving. “It was not uncommon to see Larry Culp moving equipment around the factory floor,” the Darden case study said. Mostly, he has focused on academia since that time. Culp, who grew up near Washington, the son of a welding company owner, serves on the board of Wake Forest University. He just wrapped up a two-year stint as board chairman at his alma mater, Washington College, a liberal arts school on Maryland’s Eastern Shore. He has also spent time in Boston, serving as a senior lecturer at Harvard Business School, where he teaches classes on organizational behavior, leadership, and other such fundamental business topics. GE says Culp has a Boston- area home and will be based in the company’s Fort Point headquarters. He was not available for an interview Monday. What his ascendance means for the GE’s presence in Boston remains to be seen. At Danaher, he kept a small corporate office — often fewer than 50 people — at company headquarters. Day-to-day decision-making was left to the company’s subsidiaries. Like many other conglomerates, GE follows a similar model, and Flannery pushed to create a leaner corporate office than existed under his predecessors. Some analysts say they expect Culp will move even faster toward that, while he manages the already planned spinoff of GE Healthcare and, potentially, eyes acquisitions that will help the company grow in new directions. Regardless, the change cheered investors: GE’s stock price climbed 7 percent. Observers said they’re optimistic Culp’s expertise and fresh perspective will provide a boost that GE badly needs. His track record at Danaher and his position as a newcomer at GE put him in a position to succeed at turning around the company, said Peter Cohan, a management expert who teaches at Babson College. “He is the best shot for returning GE to growth,” Cohan said. But he’ll need a lot more time than the 14 months Flannery had. “It’s going to take years,” Cohan said.